DTEK60 Specifications find their way back on Blackberry’s website once again. This much-rumoured Blackberry device is yet to be announced officially. Find out more info on this device here! Blackberry’s third Android phone, DTEK60 has created a lot of stir on the internet, recently. 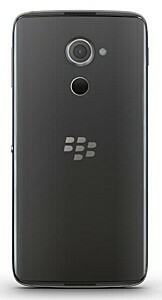 Weeks before its official announcement by Blackberry, the device has already become the focus of many rumours and leaks. It is believed that a Canadian retailer has even made the device available for pre-order on his website. There’s already so much speculation going around the device, that there’s not much mystery to unfold for Blackberry, on the day of its announcement. Once Blackberry itself spoiled its own surprise, when it mistakenly published full DTEK60 specifications on its website. The website page, which mentioned the appendix “donotpublish” clearly in the url, was however, taken down by Blackberry soon. 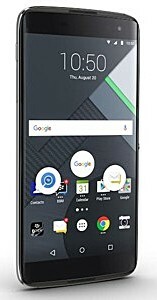 But it seems to have resurrected this mistake, as the DTEK60 specifications have made their way back on the website, along with the “coming soon” status update. Yes, that’s right! 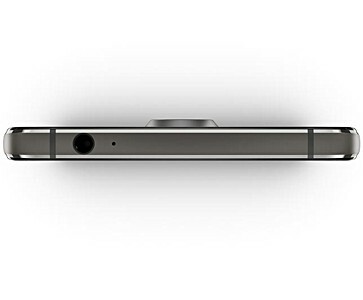 Blackberry has officially made the full specifications of its upcoming Android phone, public. It is no longer keeping the phone under the shadow. Here’s what you need to know all about the DTEK60 specifications! Blackberry DTEK60 will feature a 5.5-inch QHD display with a pixel density of 534 ppi, with no physical keyboard this time. Although to make things a little easier, Blackberry has added a Blackberry Convenience Key to the device. The net weight of the phone will be 165 grams, and it will sport the dimensions of 153.9 mm x 75.4 mm x 7 mm. Additionally, the phone will be powered by Snapdragon 820 SoC, and will come with 4GB of RAM, and an additional storage capacity of 32GB. The camera set-up of Blackberry DTEK60 looks promising as well. According to the specifications mentioned, the device’s camera will consist of a f/2.0, 21MP main snapper with PDAF and 4K video recording capabilities, and an 8MP, f/2.2, wide-angle selfie snapper, as well. Along with these features, the device will be accompanied by Blackberry’s own set of security features and apps. It will run on a 3,000 mAh non-removable battery. 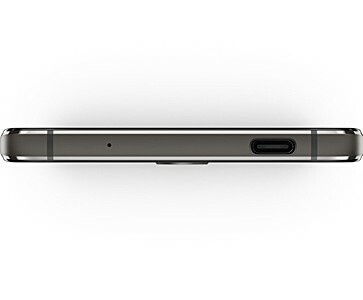 When it comes to connectivity concerns, the phone will come with a USB Type-C port with OTG support. There won’t be any FM radio option available, although, it will be LTE Advanced with speed upto 300Mbps, and will feature Bluetooth 4.2, a GPS with GLONASS and BeiDou, and a NFC and dual-band, Wi-FI a/c. This full-specs leak of DTEK60 phone, is indeed a bold move made by the company. I guess, we had to see this coming our way, since Blackberry had already accidentally leaked the details before. The only logical step that remained was to make it official. With the specs already out and hopes up among the users, let’s hope that Blackberry does not let everyone down, when it makes the official announcement for the phone! Pingback: BlackBerry DTEK60: Can Compete with Pixel and iPhone 7?